Are you living in a tenement? As is the case with many things in Charleston, tenement housing means something a bit different than it does most other places. Traditionally, a tenement referred to a residence built for renting, usually with more than one unit. That’s it. But the huge influx of immigrants during the 19th century changed the meaning of the word--or at least, how we tend to perceive it. Ellis Island was overflowing with immigrants and the single-family residences of the Lower East Side were repurposed into multi-family dwellings to accommodate the rapidly growing population; this resulted in shameful overcrowding and a lack of adequate sanitation. These intolerable living conditions led to disease, death, and riots. 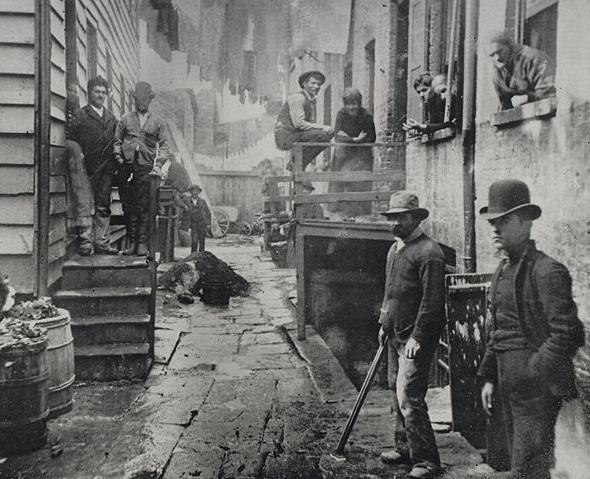 As a result, New York passed several New York State Tenement House Acts, which required (among other things) one toilet per 20 people. When speculators began building new tenements, they often used cheap materials and construction shortcuts, resulting in housing that was at best uncomfortable and at worst highly unsafe. to the success of the railroads and inland trade. Businessmen saw opportunity in the natural expansion of neighborhoods and developed rows or groups of residences as rentals or for resale. In contrast to the cheap, shoddy tenements built elsewhere, Charleston’s were generally quite large, well-finished residences that reflected the current fashions in the building arts; the prosperity of the potential inhabitants or buyers may have necessitated this. 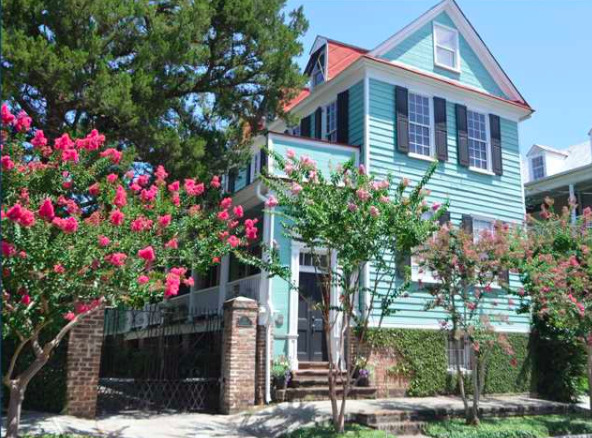 Thus, many of Charleston’s finest homes were actually built as rentals! Here, we explore the craftsmanship of mid-century homes built as tenements in three different areas of the peninsula. 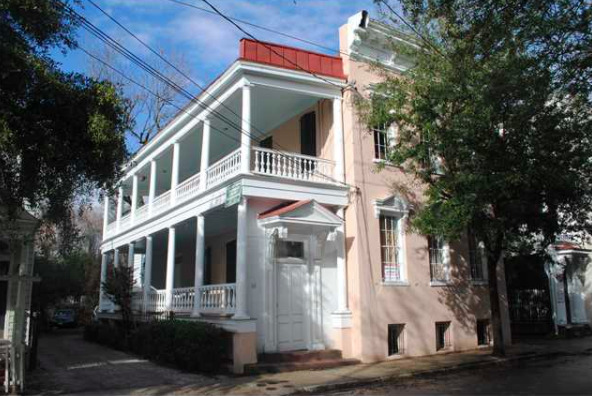 Could you be lucky enough to be living in an original Charleston tenement? The fire of 1838 leveled much of the northeast portion of the city, and the State Bank of South Carolina offered “fire loans” to those willing to rebuild the area, with the stipulation that brick residences were constructed. The attorney Francis Q. McHugh took advantage of this opportunity to build the three-story double tenement dwelling at 22-24 Wentworth Street circa 1840. Particularly noteworthy of this beautifully constructed building are the cast-iron grilles set into the dog-toothed brick parapet, featuring a unique palmetto motif. This double tenement was renovated in 1970 as part of the Ansonborough Rehabilitation Project and converted into one substantial residence, with Greek Revival plaster cornices, ceiling medallions, and black marble mantles. It is currently listed for sale with Lois Lane. The same enterprising Mr. McHugh built at least six brick residences in the area during the 1840s and 50s, including a trio of homes on the north side of Beaufain Street in 1850 (referred to as McHugh Row). These Greek Revival brick residences were made with thick brownstone lintels and sills to the windows (fashionable at the time), with a slight decorative ribbing near the parapet. Number 68 is notably different from the other two: its wider lot allowed the building to ‘spread itself out’ and enjoy the more popular proportions of the period. This residence is currently divided into four apartments, and is listed for sale with Butler Derrick. John Robinson was a very well-known builder in the Wraggborough neighborhood, not only of the famous Aiken-Rhett House, but also of numerous other residences. He built the finely finished home that he lived in at 10 Judith, as well as the circa 1820 Twin Judith Street houses at #6 and #8, which were considered the least refined of the group and likely built for rental purposes. 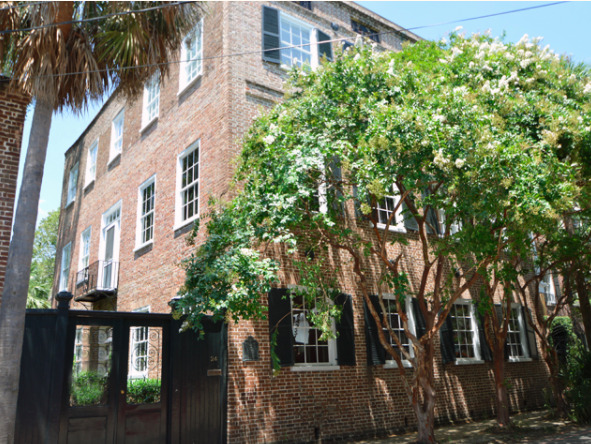 They are both typical Charleston single houses of two and a half stories of frame built on a high masonry basement, with a gable roof and piazzas; both had lines of outbuildings on their deep lots but a two-story kitchen house at 6 Judith is the only one that remains. The homes are transitional in style, with elements of the Federal period retained in a more contemporary Neo-classical expression. Both homes have been beautifully restored, and 8 Judith is currently listed for sale with Butler Derrick.